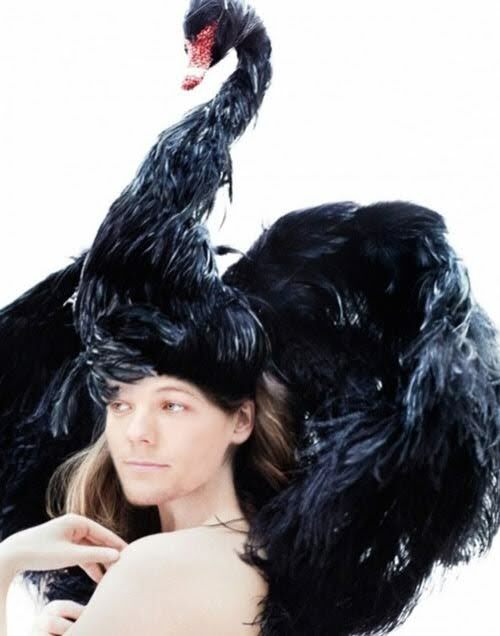 Next on the shopping block is Louis Tomlinson. Of all the guys in One Direction, I'd wager Louis weighs the least. 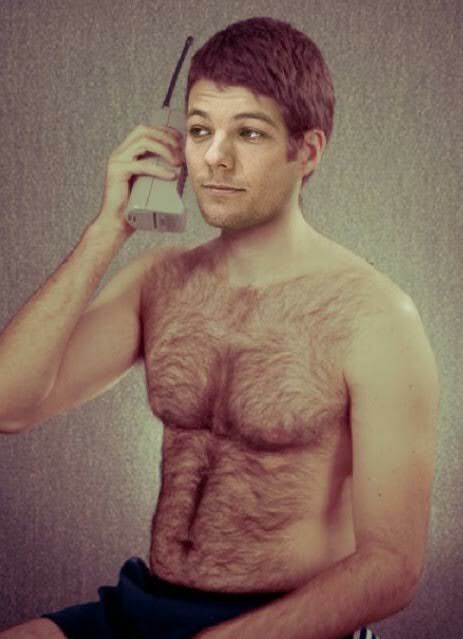 That's why I was so surprised when I saw how much chest hair he has. he's growing into quite the Burt Reynolds. Good on you, Louis! Also, nice phone. 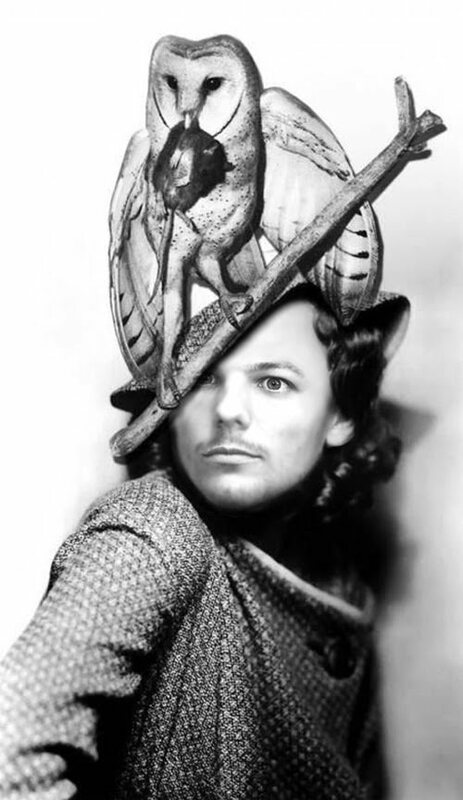 That time Louis tried on a very dramatic owl hat. He decided it was a bit too tame and went for the black wan instead. I think we can all agree this packs a bit more punch. 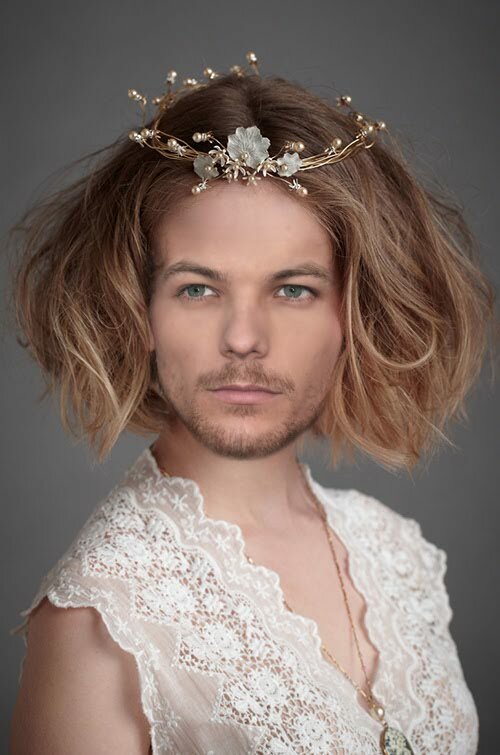 That time Louis auditioned for Game Of Thrones. He had no Idea he needed a jacket at the very least. The crown was nice, though. He likes some headwear. 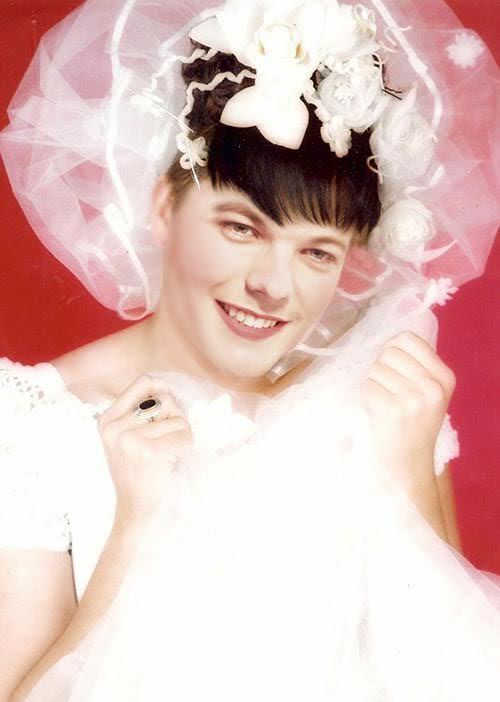 Lastly, we have Louis's beautiful and glamourous bridal portrait. The retoucher went a little crazy, but it does have that nice, soft, glowing affect. Check back tomorrow for one more crazy bout of photoshoppery! Happy Sunday! #FAFATL: The Last One in June! Photoshoppery: My Very Own "Botched"